These little antique bronze stud earrings feature a stunning illustration of a pair of yellow and black butterflies. They are covered in a thick layer of resin that dome and slightly magnify the images. The resin will now yellow or fade in the sun and is super durable. They come with a butterfly cap to secure in place. They are light to wear and not heavy. 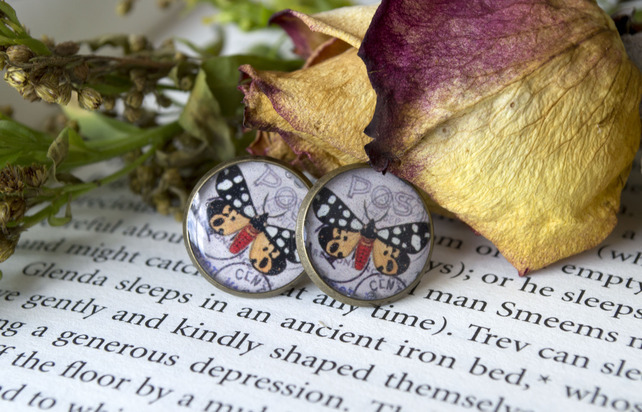 Folksy :: Buy "Black / red and purple / lilac butterfly enamel earrings"